Niharendra Choudhury from Calcutta, B.E. - B.Tech Graduate. SECURITY ANALYSIS SECURITY SYSTEMS LINUX ADMINISTRATOR .. OPEN SOURCE SOFTWARE.. CONSULTING MIS MONITORING & EVALUAT..
are one of expert skill area's of Niharendra Choudhury . 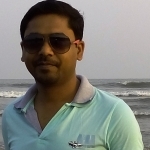 Niharendra Choudhury is working in IT Software industry.